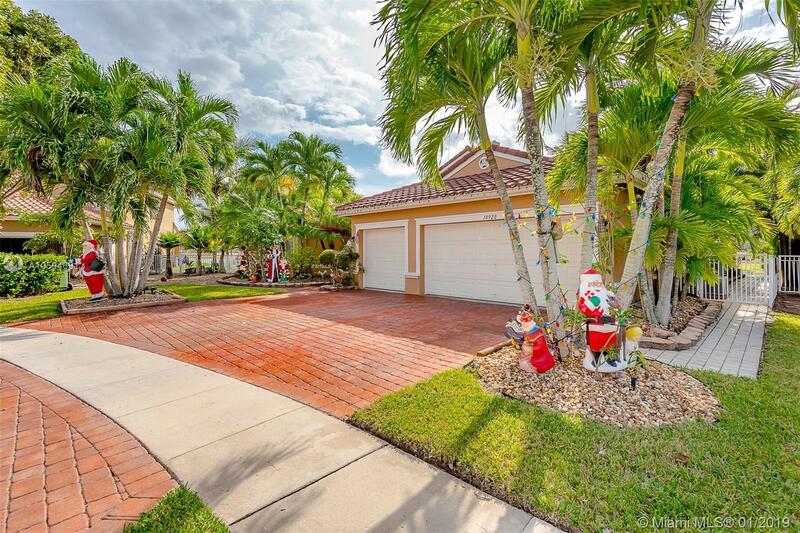 18920 SW 16th St, Pembroke Pines, FL.| MLS# A10594691 | Susan J Penn l Best Agent l Buy & Sell South Florida Homes! Impeccable water view house located in a private gated community of Encantada, open floor plan, upgraded kitchen, granite countertops, upgraded bathrooms, master bathroom with jacuzzi, large screened porch, if you like to entertain this will be the house, you have plenty of backyard space with a water view, 3 car garage, clubhouse, low HOA and so much more, easy showing. Directions: Please Follow Gps Instructions, Gated Community Of "encantada"